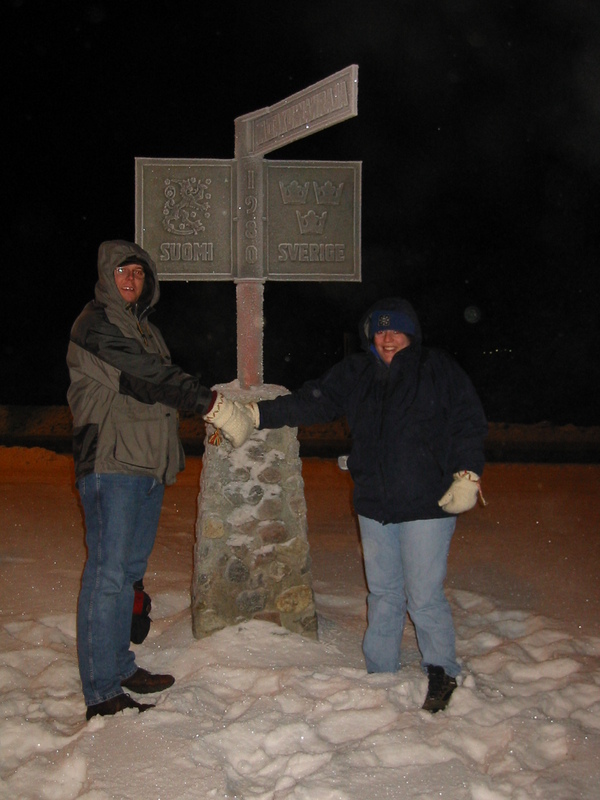 We arrived at Tornio on a mid-December Friday, to be greeted by our friend Johanna. 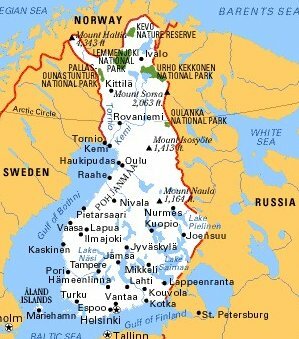 Tornio is just a little south of the Arctic circle and it was the furthest trip north either Rory or myself has made. We drove back to her house where we were greeted by her parents and were given the first of several excellent meals, most of which included reindeer in some shape or form! It's actually a lot more commonly eaten in northern Finland than beef or chicken, although these and other meats are available in the supermarkets. It's a pretty versatile meat and can be used in everything from soup to burgers and roasts. The Finns also eat quite a bit of Salmon. We had our first go at the Finnish language, which to be honest is a bit tricky as it bears no resemblance to anything else and manages to have different conjugations of the word "no". We did lean a few words by the end of the trip, but I'm not sure I'd have a comfortable time trying to discus Neo-existentialism in Finnish, partly as I didn't really get to grips with the language but more that I know bugger-all about the subject. 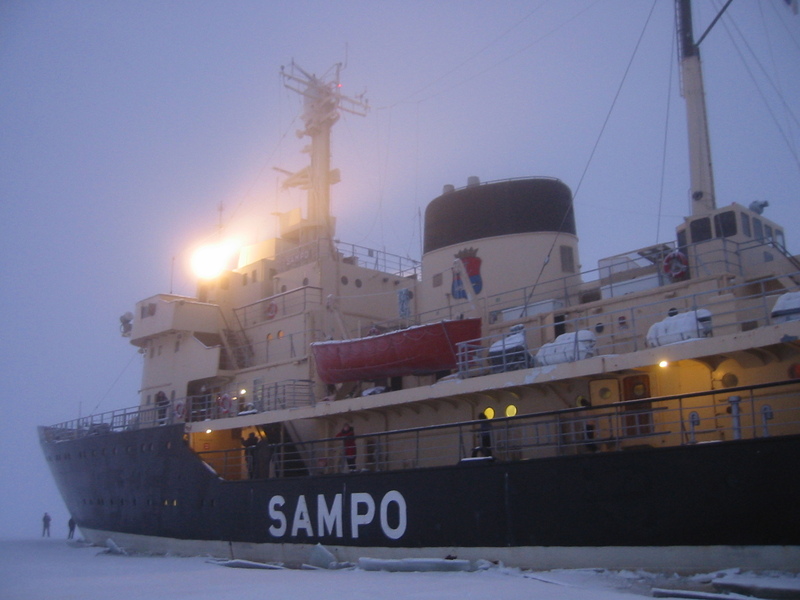 The main noise one hears on the boat are the sound of the Sampo's four engines and the ice being broken by the ship. The hull is round bottomed rather than the usual pointed shape. The Sampo pushes over the ice and then crushes it. The ship is very heavy and the ice breaks. It is actually dangerous for the Sampo to out in open seas as the boat is unstable in clear water. The picture below shows me swimming in the sea. (This is a rare picture of me on this website so make the most of it!) In this picture I am wearing an emergency suit - I'm up for a challenge but I'm not stupid ;) One size fits all over your clothes, which is pretty funny if you're a bit short (like me), everything flops around a bit. Mark my words though, those suits really keep out the cold! Rory also had a go, but this is the clearest picture we got. 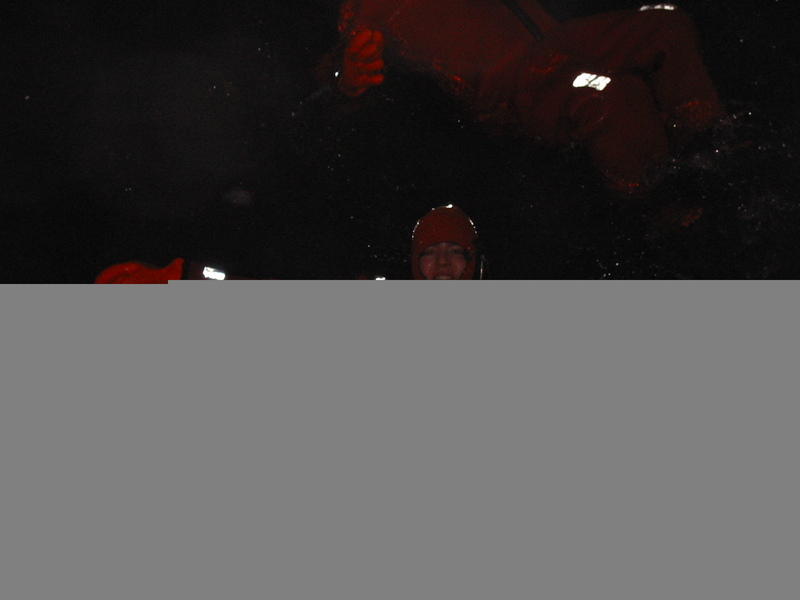 It was starting to get a bit dark by the time we swam and the flash on the camera picked up the reflective tabs more than anything else. Johanna had a surprise for us - she was singing in a choir recital at the local church on the Saturday night. The singing was excellent, and we were quite chuffed that they sang, in perfect English (well what do you expect from Scandinavians) "Deck the Halls with Boughs of Holly". The "fa la la la las" were particularly good! It was interesting that the Finns have a Lutheran style of church, which was quite bare but very beautiful. Later that evening (after some more reindeer) we went clubbing until late and met some really nice people, some of whom I'm ashamed to say spoke better English than us (hello Nadja & Heidi) We danced to some pretty strange music but I think that was down to the drink. Needles to say we all drank a little too much and didn't really do a lot on Sunday! On Sunday night we also went to watch the girlfriend of Johanna's brother go swimming. 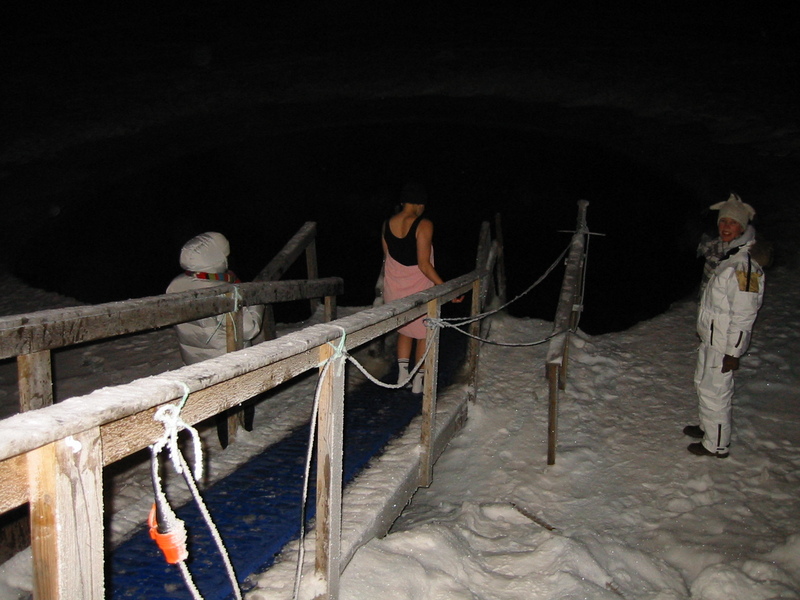 Nothing unusual there apart from the fact it was -18 degrees Centigrade (I have no idea what that is in Fahrenheit) and she was swimming outdoors in an ice pool. She pays 23€ (about £16 or US$24) for the winter season to use a heated hut for before and after. Our only disappointment of the whole trip was that despite the fairly low temperatures the most that we saw of the Aurora Borealis (Northern Lights) were some very faint wispy lines in the sky and some street lamps. I did manage to get some rather nice nice sunset pictures on the way home. The one on the right was taken flying South-West over southern Finland. We had a great time and look forward to returning to catch the midnight sun!